We are manufacture Disposable Paper Cups that comprises cold beverage paper cups, ice cream paper cups, hot beverage paper cups, water paper cups, coffee paper cups and tea paper cups, juice paper cups. The range is known for exciting design and biodegradable nature. Our Drinking Cups for Hot & Cold Beverages is made from ITC food grade papers with the usual thickness of 185 GSM. These cups are biodegradable and are offered in many pleasing designs and colors. We also pamper our clients with customized facility. Prices offered by us are most pocket friendly and can be supplied at any given time and any amount. These are highly popular at parties, get togethers and any occasions. 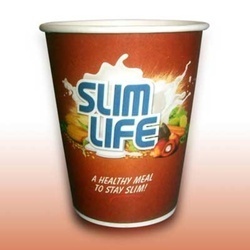 Our Disposable Paper Cups are made from ITC Paper that are approved of by the food and drug quality board. The biodegradable range is of the most high quality and exciting printing designs and Logo printing. The paper thickness is of 185GSM-275GSM . Ideal for coffee/tea/juice and any cold & hot beverages. Our prices are most affordable and we have enough stock at any given point of time. 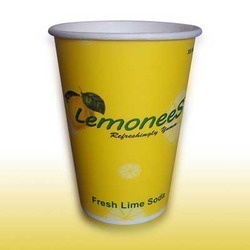 Looking for Disposable Paper Cups ?